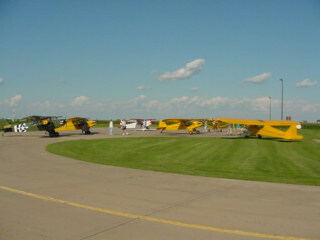 You may contact the Chariton Municipal Airport at 641 774 2599, 641 774 5991 (City Hall), or 641 774 5083 (Law Center). We hope you will visit us soon. The last part of the old asphalt taxiways and aprons have been replaced with concrete at the Chariton Municipal Airport. This ends the ten year improvement plan for the airport. 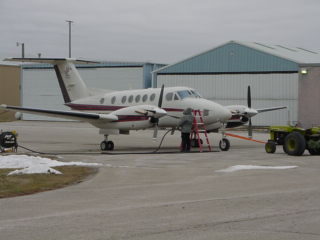 However, there will be some improvements at the airport soon as the result of the Chariton City Council approving the acceptance of an FAA 90/10 grant recently. This will allow for the access road to be paved and for new perimeter fencing. Bob Nielsen of Garden Engineering presented the plans, specifications, form of contract and estimate of price. Blommers Construction was awarded the contract, contingent on FAA approval, in the amount of $149,849.65. The City of Chariton has also been awarded a GAVI 70/30 grant for the installation of credit card service readers for both 100LL and Jet A fuel. This will allow for 24 hour fueling service without having an FBO on duty. The City's share will be approximately $6000. 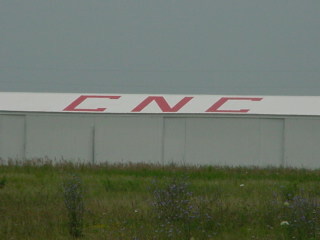 The T- Hangars have received a face lift and CNC was painted in red to help pilots find their way. We would like to express our condolences to Dale Earnhardt's wife, family, friends and NASCAR community because of his death on Sunday February 18, 2001. 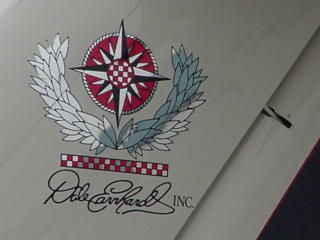 Mr. Earnhardt was a good customer and we considered Earnhardt a friend.